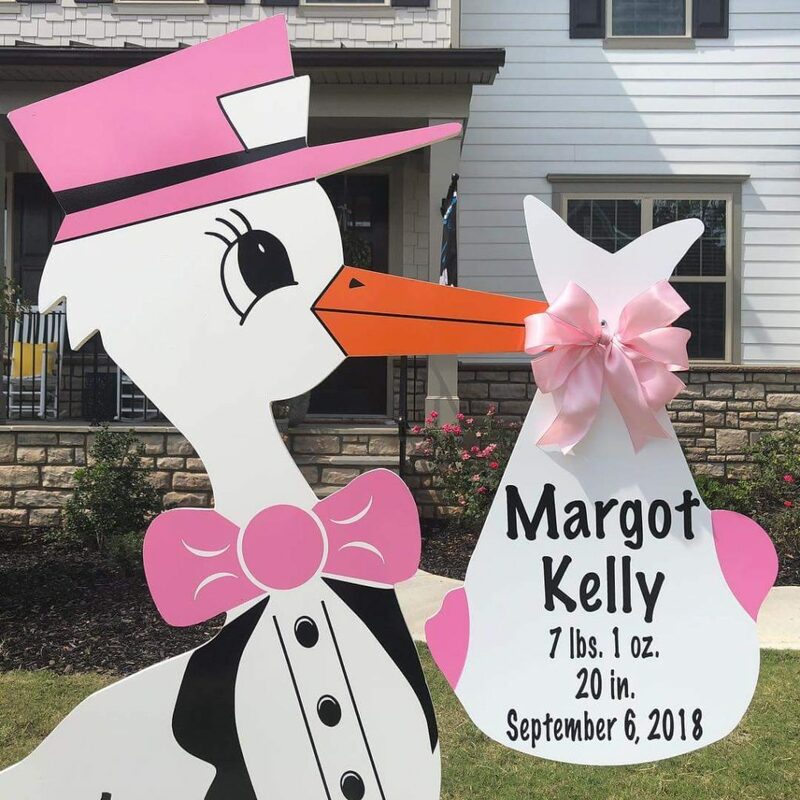 Sandhills Baby and Birthday Signs is Fayetteville, Raeford, and Pinehurst’s #1 sign rental service specializing in stork rentals, birth announcement signs, birthday lawn signs and more! We proudly deliver newborn stork birth announcement signs and birthday yard cards throughout Spring Lake, Apex, Parkton, Raeford, Hope Mills, Fayetteville, Aberdeen, Cameron, Pittsboro, Southern Pines, and Sanford. Call us at 910-723-4784 or visit us on facebook, pinterest, or Instagram.